Yesterday a federal judge in New York ordered the pharmaceutical company Actavis to continue manufacturing the original formulation of Namenda until the anti-trust case brought by the New York Attorney General is decided. Actavis announced immediately after the court hearing that it would appeal the ruling on an emergency basis. As reported here last fall, Namenda is used to slow the progression of Alzheimer’s disease among those with moderate to severe symptoms. The original formulation is designed to be taken twice a day, and each pill contains 10 mgs of the active ingredient. In 2009, Forest Labs (which was acquired by Actavis last year) obtained a new patent for Namenda XR, an extended release version that needs only be taken once a day at a dosage of 28 mgs per pill. The patent protection for the original Namenda expires in the summer of 2015. At that point, pharmacists will automatically fill prescriptions for Namenda with a generic equivalent, unless the treating physician specifies that the pharmacist is to make no substitutions. Namenda currently has $1.5 billion in annual sales. It is estimated that once Namenda looses its patent protection, sales of the drug will plunge by 90%. To prevent the loss of these revenues, Actavis announced this summer that it would stop manufacturing Namenda in the fall of 2014. Since generic substitutes will not be available until the summer of 2015, this announcement forced physicians to start writing prescriptions for Namenda XR, so that patients would still be able to take a form of Namenda. Actavis is betting that once patients switch to the extended release form of the drug, they will not make the effort or even know that in July they can call their physicians and request a new prescription for the original Namenda and get it for a fraction of its current price. The Attorney General claims that Actavis’ tactic, known as “forced switching” or “product hopping”, is an unlawful restraint of trade because it interferes with patients’ ability to switch to lower priced generic drugs. It also claims that within the context of the patent protections afforded by the Hatch Waxman Act, Actavis is illegally extending its monopoly. Actavis, on the other hand, claims that as a patent holder, it has the right to decide how and if to use its patent. It also claimed that an injunction would require a change in its operations that would cost it signficant revenue. In order to successfully appeal the preliminary injunction issued by the District Court yesterday, Actavis must show that being forced to continue to manufacture the original formulation of Namenda will cause it irreparable harm. It is a high standard, and no Appeals Court has ever been faced with the fact situation in this case. Pharmaceutical companies, investors, health policy analysts and anti-trust attorneys will be watching this case closely as it has implications for all brand name pharmaceuticals. The current cost of the original Namenda ranges from $370 to over $400 per month. 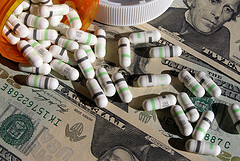 Once its patent protection expires next summer, patients will be able to purchase a generic equivalent of Namenda for approximately $55 to $60 per month. The cost of Namenda XR is slightly less than the cost of the original Namenda now, but it may increase after next summer, and it certainly will not go down. If your physician has switched you to Namenda XR, you will have to get a new prescription next summer to be able to get a generic equivalent and enjoy the savings. There have been no clinical trials that study the comparative efficacy of Namenda XR and the original Namenda. The dosing amounts in the two forms are different, with Namenda XR containing more active ingredient. This increase could result in more adverse side effects, which are most commonly headache, dizziness, diarrhea and failure to fully empty one’s bladder. Although these side effects are considered to be mild, they can dramatically impact someone who has trouble with balance or is prone to urinary tract infections.